A US citizen jailed as a drug trafficker in Egypt in December after importing a shipment of non-drug hemp oil there was freed from jail late last month when mobs of protestors overran prisons across Cairo, but remains in legal limbo. Mostafa Soliman, who operates a company called Health Harvest, has so far been refused a new passport by the US Embassy in Cairo, which means he cannot leave the country. He faces a possible death penalty if convicted of drug trafficking. According to the Death Penalty Project of the International Harm Reduction Association, Egypt is one of 32 countries that have laws mandating the death penalty for some drug offenses on the books. While Egypt is not among the leading drug offender executioner countries, such as Iran, China, Saudi Arabia, Vietnam, Singapore, and Malaysia, drug offenders do get executed there, the first one in 1989. Soliman, 62, was born in Egypt and has retained Egyptian citizenship, but the dual citizen has resided in the US for the past 40 years. He had returned to Egypt to oversee the arrival of the hemp oil shipment. When the shipment of bottled hemp oil arrived at Egyptian customs in December, authorities translated "hemp oil" as "hash oil," and that's when Soliman's life took a Kafkaesque turn. (Arabic does not have a distinct word for "hemp": any concoction from the cannabis plant, whether high THC or low THC, is simply called cannabis. "Even the Egyptian drug enforcement people told me they knew it wasn't hash oil," Soliman said by phone from Cairo Friday night. "But they said they had to follow procedure." That procedure resulted in a December 30 raid by drug enforcers on Soliman's storage facility and Soliman's arrest on drug trafficking charges. He was jailed pending trial, first at a neighborhood police station, and then, after the local police commander grew irritated by consular visits, transferred to one of Cairo's maximum security prisons. "I was in an eight by eight cell that held as many as 30 people," said Soliman. "There were killers waiting to be hanged, thieves, rapists. That really upset me." ]After Soliman had spent several weeks in prison, his Egyptian attorney managed to arrange bail, which would have allowed him to legally leave prison pending trial. But in a bizarre twist of fate, before he could be released, the current protests exploded in Cairo, and the city's prisons were besieged by mobs of uncertain provenance determined to free the prisoners. The prison guards fled the assault even as the prison caught on fire, leaving prisoners locked in their cells. "I hid under the window," when the prison came under attack, Soliman said. "I was afraid of the Molotov Cocktails. Then the protestors came and broke the locks on the cells and freed us. It was all planned out. They knew all the military was being moved to the square for the protests and there would be little security at the prisons." Soliman said he thought the Moslem Brotherhood was behind the attacks on the prisons, but like much else in the current crisis, the truth about that is obscure. After fleeing the prison, Soliman went into hiding in Cairo, and contacted the US Embassy for help. He sought help in translating research reports on hemp and on obtaining a new passport -- Egyptian authorities had seized his, which meant he was effectively unable to leave the country. But not much help was forthcoming, said both Soliman and members of the Hemp Industries Association (HIA) and Vote Hemp, leading industry advocacy groups in the US that have taken up Soliman's cause. "I face a death penalty for selling drugs," Soliman said. "I was hoping for the embassy to help me translate some analyses and reports from the States to help me prove my case, but they don't want to do anything. I did it myself, and spent $3,000 to get it done." Nor would the embassy issue him a new passport. "I went to the embassy and a representative came out and said he would try to help me," recalled Soliman. "After I waited outside for three hours, he came back out and said a photo would expedite the process. I came back with the photo the next day, and he took it and again I waited outside for two hours. Then he came out and said he could not help me," he said. "I don't know what's going on with these people; the embassy has not been very helpful at all. They're not cooperating," he said. "The US Embassy has not treated this US citizen with any respect," said Vote Hemp spokesman Adam Eidinger. "Our attorneys sent them a letter, and they acknowledged receipt of it and said they are looking into it, but the embassy has not been sympathetic." Vote Hemp and the HIA launched an action alert Friday afternoon in a bid to raise the profile of the case. The alert calls on people to write Secretary of State Clinton and urge her to ensure that Soliman is issued a new passport. "We hope the action alert will generate thousands of letters to the secretary of state," said Eidinger. "We want them to take up his cause and give him a passport. Right now, he's in legal limbo. If he goes to the airport in Cairo, he will be arrested. The only reason we can tell they won't give him a passport is these drug charges. This man's life is on the line. If he's convicted, they could kill him. Egypt does have the death penalty for drug smuggling," he emphasized. Soliman's arrest and the US Embassy's failure to assist have aroused the ire of others in the US hemp industry. 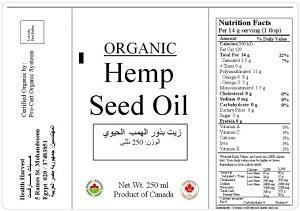 "The Egyptian authorities are just following the lead of their DEA counterparts in this ridiculous conflation of healthy, nutritious, non-drug hemp seed oil with the drug marijuana," said David Bronner, head of Dr. Bronner's Magic Soaps and a major player in the US hemp industry. "It's even more ridiculous when you consider that they are accusing someone of smuggling hash into Egypt in a hemp bottle. That is so clearly absurd." "This is a tragic mistake that could be solved with a simple drug test. Mr. Soliman is being falsely accused of importing ‘hash oil’ when in fact it was healthy hemp food," said HIA executive director Eric Steenstra. "Our campaign to free Mostafa Soliman will hopefully jump-start action at the US State Department. We recognize that the unrest in Egypt will make it more difficult for US authorities to act, but this terrible mistake by Egyptian authorities was made well before the recent protests began and in many ways symbolizes the corruption the protestors are resisting," he added. Until something happens, Soliman is stuck in Cairo and facing the dire prospect of being tried as a drug trafficker for importing a healthy food product. He said he hoped to be able to clear matters up, but that the ongoing political turmoil made his prospects unclear. "If this situation gets worse, I'm not going to stick around," he said. "If it clears up, then maybe my attorney can clear up my legal situation. But I still need a passport." 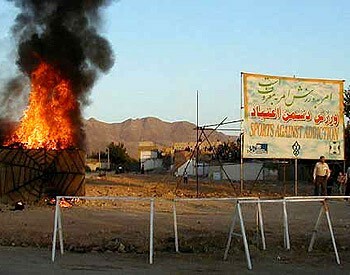 Iran began 2011 by hanging eight accused drug traffickers at Qom prison south of Tehran New Year's Day, and that was just day one. By the end of January, Iranian authorities had executed at least 56 drug offenders, according to press accounts compiled by the anti-death penalty group Hands Off Cain. Seven drug offenders were hung in the Kermanshah prison January 3, and another in Shirvan two days after that. Two more went to the gallows on January 7 in Boroujerd, and another four were hung in Isfahan prison the following day. Another seven were hung in Tehran's Evin Prison on January 12 and five more the following day in the western city of Khoramabad. On January 18, one drug smuggler was executed in Zarand, and 10 drug traffickers were hung the following day at Kharaj's Rejai Shahr Prison. Six days after that, one drug offender was hung in Bojnourd. The month ended with 10 drug executions on January 27, seven at the Ghezel Hesar Prison west of Tehran, and three in the town of Orumieh. Only one of those cases created even a ripple of media interest outside Iran, and that was because the victim, Sahra Bahrami, 46, held dual Dutch and Iranian citizenship. Bahrami was originally arrested during anti-government demonstrations in 2009, but was convicted of drug trafficking after authorities said they discovered cocaine in her home and developed evidence they said showed she had smuggled drugs into the country at least twice. Her execution has led to a freeze in diplomatic relations between Tehran and the Hague. While Iran has been one of the governments most likely to resort to the death penalty for drug offenses, the spate of executions so far this year suggests that the Islamic Republic is stepping up the pace. Last year, Iran hanged 179 people, but with at least 65 executions overall in January, if Iran keeps up the pace, it will exceed last year's total by the end of March. Unfortunately, the Gaza Strip's de-facto government adopted an Egyptian law that permits the execution of convicted drug dealers, and it's using it. A court in Jakarta has sentenced a US citizen to death for his role in an international drug trafficking organization, the Jakarta Globe reported Wednesday. Frank Amado, 46, had been arrested in October carrying more than a pound of methamphetamine outside of his apartment. Police found 11 more pounds of meth when they searched his apartment. "Considering that during the hearings there was nothing that could lighten the defendant's sentence, and that after deliberations the judges found the defendant proven guilty of the primary charge against him, the defendant is sentenced to death," presiding Judge Dehel Sandan said as he read out the court’s verdict. 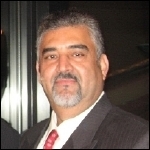 "Frank intentionally committed a criminal act, unlawfully becoming a courier in a Class I narcotics trade together with Peyman bin Azizallah aka Sorena aka Paulo Russo," Judge Dehel continued. Peyman, an Iranian citizen, had been getting drugs from two other Iranians, who fled and are still at large. Peyman then turned the drugs over to Amado for delivery. It's unclear what happened to Peyman. "The defendant was actively involved in a large-scale drug trade that could have fatal consequences for society, especially the younger generation. The sentence was to act as a deterrent for foreigners involved in the drug trade," Judge Dehel said. According to a June report from the International Harm Reduction Association , The Death Penalty for Drug Offenses 2010: A Global Overview, Indonesia is one of a group eight Asian and Middle Eastern nations with a "low commitment" to the death penalty for drug offenses, meaning that while they had the death penalty on the books for drug offenses, they applied it sparingly in practice. The report said two people were executed for drug crimes in 2008 and none last year. But of 111 people on Indonesia's death row, 56 are there for drugs. I'm on Huffington Post again tonight, with a post chastising the UN (and western governments generally) for: 1) continuing the ludicrous coca runaround in South America's Andean region for another year; and 2) turning a blind eye year after year to the indirect support that western funds and cooperation gives to the death penalty for nonviolent drug offenses, mostly in Asia and the Middle East. Check it out here -- comments welcome in either location. If you haven't already, check out our Chronicle articles on these two topics here and here. With the United Nations' International Day Against Drug Abuse and Illicit Trafficking set for tomorrow, the timing couldn't be better for a new report from the International Harm Reduction Association (IHRA) decrying the complicity of Western governments and the UN Office on Drugs and Crime (UNODC) in international drug control efforts that result in the execution of drug offenders. 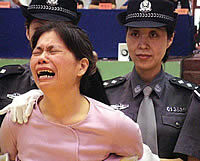 Take what happened in China on global anti-drug day 2008 as a case in point. As has been its wont in the past, the Chinese government used the occasion to execute numerous drug offenders, including Han Yongwan, a regional trafficker who had been arrested by police in Laos and later extradited to China. Han had been arrested thanks to the East Asian Border Liaison Office program, initiated by UNODC in 1993, and chiefly funded by the United Kingdom (24%), the United States (24%), Japan (24%), and Australia (10%). Other funders included the European Commission (3%), Sweden (3%), Canada (2%), and UNAIDS (5%). Although the European Commission and nearly all of the donor nations reject the death penalty, the funding of programs like the East Asian Border Liaison Office means that those governments and organizations are complicit, if inadvertently, in the application of the death penalty to drug offenders, the IHRA found in a report issued this week, Complicity or Abolition? The Death Penalty and International Support for Drug Enforcement. The United Nations Office on Drugs and Crime (UNODC), the European Commission and individual European governments are all actively involved in funding and/or delivering technical assistance, legislative support and financial aid intended to strengthen domestic drug enforcement activities in states that retain the death penalty for drug offences. Such funding, training and capacity-building activities -- if successful -- result in increased convictions of persons on drug charges and the potential for increased death sentences and executions. Specific executions and death sentences can be linked to drug enforcement activities funded by European governments and/or the European Commission and implemented through UNODC. Donor states, the European Commission and UNODC may therefore be complicit in executions for drug offenses in violation of international human rights law and contrary to their own abolitionist policies and UN General Assembly resolutions calling for a moratorium on the death penalty for all offenses. The risk of further human rights abuses connected to drug enforcement projects, and the complicity of donors and implementing agencies in such abuses, is clear and must be addressed. In a report issued last month, the IHRA found that 58 countries still adhere to the death penalty and 32 of them have on the books the death penalty for drug offenses. But those countries don't all apply the death penalty with the same enthusiasm. IHRA identified six "retentionist" countries that have especially egregious records when it come to the death penalty for drug offenses: China (thousands of cases a year), Iran (10,000 drug traffickers executed since 1979), Malaysia (70 drug death sentences in the last two years), Saudi Arabia (at least 62 drug offenders executed in 2007 and 2008), Vietnam (at least 109 people sentenced to death for drug offenses between 2007 and 2009), and Singapore (more than 400 people executed, most for drug offenses since 1991). All of them are the recipients or beneficiaries of anti-drug spending by the UNODC, the European Community and individual member countries, Japan, and the United States. That means donor organizations and countries are flouting UN human rights law, which states that the death penalty should be applied only for the "most serious offenses." Neither the UNODC nor the UN rapporteur on executions and the death penalty considers drug offenses to be among the "most serious offenses." In keeping with Resolution 2007/2274(INI) of the European Parliament, the European Commission should develop guidelines governing international funding for country level and regional drug enforcement activities to ensure such programs do not result in human rights violations, including the application of the death penalty. The abolition of the death penalty for drug-related offenses, or at the very least evidence of an ongoing and committed moratorium on executions, should be made a pre-condition of financial assistance, technical assistance and capacity-building and other support for drug enforcement. A formal and transparent process for conducting human rights impact assessments as an element of project design, implementation and evaluation should be developed and included as part of all drug enforcement activities. International guidelines on human rights and drug control should be developed to guide national responses and the design and implementation of drug enforcement projects. "Many people around the world would be shocked to know that their governments are funding programs that are leading people indirectly to death by hanging and firing squads," said Rick Lines, deputy director of IHRA and coauthor of the report. While agencies and countries were not intentionally funding programs that led to people facing the death penalty, it is "a fact" that such executions are happening, he said. Rebecca Schleifer, advocacy director of Human Rights Watch, told the Guardian newspaper that while the UNODC has "taken steps in the right direction" by acknowledging the human rights implications of its programs, its drug enforcement activities, as well as those of other countries and organizations, "put them at risk of supporting increased death sentences and executions in some countries." There was an urgent need for political leaders in the US and Britain to rethink their "disastrous' war on drugs' policy and tacit support for regimes that continue executing people for relatively minor offenses," said Sebatian Saville, director of the British drug policy and human rights group Release. Even the UNODC welcomed the report. A spokesman told the Guardian it raised "legitimate concerns" about how global drug prohibition enforcement "may indirectly result in increased convictions and the possible application of the death penalty." The spokesman added that UNODC had taken "concrete steps" to include human rights assessments as part of "all drug enforcement activities." Just three weeks ago, we did a feature article on the International Harm Reduction Association report, The Death Penalty for Death Offenses: Global Overview 2010 and the associated international campaign against the death penalty through the Harm Reduction and Human Rights campaign known as HR2. Since then, Iran has been on an execution binge, proving the report's contention that it is one of the world's most egregious offenders and highlighting the need for the anti-death penalty campaign to continue and intensify. According to the anti-death penalty group Hands Off Cain, which compiles information about death sentences and executions from local sources, Iranian hangmen have been very busy with drug offenders indeed lately. On May 23, two days after our article came out, a man identified only as "SR" was hanged in Khuzestan's Karoun Prison for carrying 675 grams of heroin. Two days later, four people identified only by their initials were hanged in Yazd Prison, three for trafficking crack, marijuana, opium, and heroin, and one for trafficking 125 kilos of opium. On May 31, Afghans in Afghanistan's western Herat province reported that seven of their relatives had been executed in Taibad prison and asked the government's help in retrieving their bodies. That same day, another Afghan citizen, Nour Jamal S., was hanged at Isfahan prison for smuggling 1,385 kilos of crack cocaine, and two more people were hanged in Shirvan Prison in Khorasan province for drug trafficking. There was no let-up so far this month. Last Friday, Jalil B. was hanged in Mianeh Prison in East Azerbaijan for drug trafficking. On Monday, 13 people were reported hanged for drug trafficking in Ghezel Hesar Prison in Teheran. On Tuesday, a man identified only as Masoud, 33, was reported hanged in Teheran for drug trafficking. That's 30 people executed for drug offenses in the Islamic Republic in the last three weeks. But Iran isn't the only offender, even if it's the only one that actually put someone to death for a drug offense in that time period. Death sentences for drug offenses were handed out to a methamphetamine trafficker in Malaysia, five drug offense death sentences were handed down to foreigners in the United Arab Emirates, and five Chinese nationals were sentenced to death for drug trafficking in Vietnam. More than a thousand people face execution for drug offenses each year around the globe, according to a report released this week by the International Harm Reduction Association (IHRA). The report, The Death Penalty for Drug Offenses: Global Overview 2010 marks the first country-by-country overview of drug-related death penalty legislation and practice. "'Hundreds of people are executed for drug offenses each year around the world, a figure that very likely exceeds 1,000 when taking into account those countries that keep their death penalty statistics secret," the IHRA said in the report. The IHRA asked states that have death penalty statutes for drug offenses on the books, but that have an effective moratorium on use of the death penalty in place to go a step further and repeal those laws. "IHRA is calling on an immediate moratorium on all executions for drug offences, a commuting of all existing death sentences for drug offences and an amendment of legislation to remove the death penalty for all drug offenses," said Rick Lines, coauthor of the report. "Countries with the death penalty for drug offenses are not only violating human rights law, they are clinging to a criminal justice model that is ineffective and unnecessary." The most execution-happy countries when it comes to drug offenders are China, Iran, Saudi Arabia, Vietnam, Singapore and Malaysia. According to the report, Iran executed at least 172 drug offenders last year and Malaysia executed 50. The report contains no firm figures from China, where the number of overall executions is believed to be in the thousands each year, but notes that "when China's notoriously harsh drug policies are considered along with the scale of its counternarcotics efforts, it is probable that drug crimes represent a sizable portion of those killed each year." The movement to abolish the death penalty for drug offenses is advancing, albeit at a painfully slow pace, said report coauthor Patrick Gallahue. "There is progress among the states most committed to their capital drug laws but it has been slow, frustrating and often inadequate. Viet Nam, for instance, removed an offense related to 'organizing the illegal use of narcotics' from its death penalty offenses. The government did consider taking a number of other drug related offenses off its list of capital crimes but it never made it through the National Assembly. That's unfortunate but it shows that the government is giving thought to the area," he said. "China also continually claims that it will reduce the application of the death penalty and various reports actually indicate such a reduction is underway. It's very hard to know if this is true given the secrecy that surrounds the death penalty but if we take the government at its word, then it represents modest progress," Gallahue continued. "Similarly, the past five or six years has seen a real reduction in the use of capital punishment in Singapore. However, any gains made in this area were compromised by an extremely disturbing judicial decision in May that opted to retain the mandatory death penalty for drugs," Gallahue noted. "So even though Singapore may be moderating its use of the death penalty in practice, the decision by the Court Appeals leaves Singapore at an extreme fringe of drug policy." The IHRA has been working to abolish the death penalty for drugs as part of its HR2 (Harm Reduction and Human Rights) campaign since late 2007, said Lines. "We have seen some significant developments since then," he told the Chronicle. "Certainly the issue is now one of prominence within the harm reduction and drug policy reform sectors, whereas before it had scant if any recognition within the sector. We have also seen major statements against the practice from the UN Office on Drugs and Crime, the UN High Commissioner for Human Rights, and others." The release of the report this week has helped, he said. "It has been well received, including generating widespread media coverage. We believe we are making an important contribution to changing the thinking and discourse on the death penalty for drugs, the challenge now is to turn that into concrete policy changes. This new report marks the start of a new three year program of work on this issue at IHRA, so there will be much more to come as we advance our advocacy activities over that period." "The first thing the US should do generally is abolish the death penalty full stop," he said. "The US can also remove the death penalty for drugs from its federal legislation. It is not a law that has been used, thankfully, and seems only in place as some sort of symbolic statement in order to appear 'tough' on drugs. The US should also be reconsidering its drug enforcement aid to countries that enforce the death penalty for drugs, as increasing law enforcement's capacity to arrest and prosecute drug cases in those countries inevitably lead to more executions." That's just for starters, Lines said. "In the wider scheme of things, there is obviously much the US can and should be doing to reduce or end some of the wider human rights abuses related to the war on drugs, both within the US itself and internationally. While the Obama administration has made some positive statements of late about refocusing US drug policy towards a more health-based approach rather than a law enforcement-based one, unless those words are backed up by concrete policy and budgetary changes they won't have any real meaning or impact."